We all know we waste time at work, but most of us don't know how much. 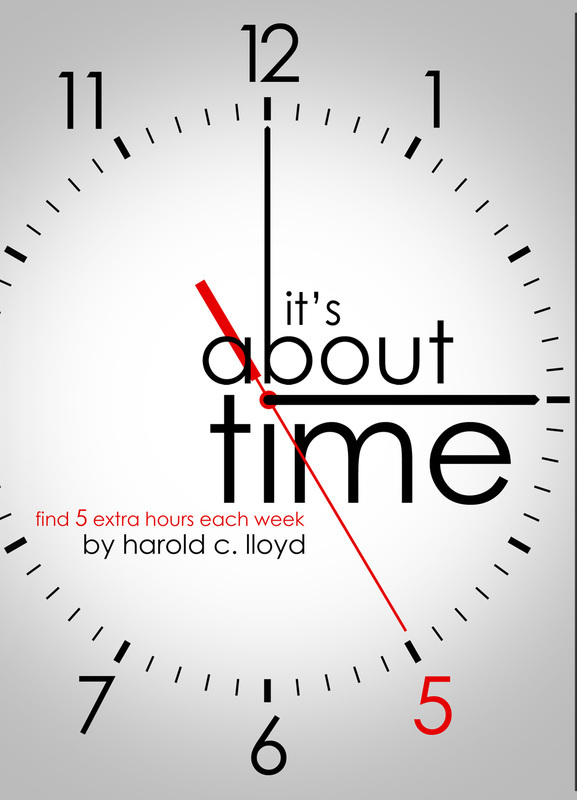 Author Harold C. Lloyd is convinced we can reclaim at least 5 hours each week by using the ideas he presents in his book, It's About Time. - Start your day with a Disappearing Act to get your schedule in order. - ZAP! the distractions that take you away from the task at hand. - Create and follow a To-Do Today list to keep you organized. Plus, It's About Time has hundreds of tips on how to use everyday management tasks to free up more time at work. The book shows how you can improve delegating skills, run meetings more effectively, and even recruit and hire staff better to maximize time management and take control of your time at work. Read It's About Time and find your 5 extra hours each week! "​Read, highlight, and take notes – this is a book to which you will return often throughout your career." "It's a good resource for sorting out the time sinks that kill off your productivity in the workplace." "I found my first five hours in the first four chapters. This book is a keeper!"